November 11th 2018 - ATLANTIS, Fla. – This week, Championship Tour Event #10 was held at Wycliffe Golf & Country Club on the West Course in Wellington, FL. Two very talented and dedicated players captured the victory through tough wind in round 2. The boys’ division featured a packed leaderboard. Following play of round one, four juniors found themselves at even par or better. Out of the four players, Jeffrey Liss, who shot an astonishing 68 round 1, followed it up with a 73 round 2 to capture the Overall Title. Closely behind Liss was Garret Giles and Fynn Fenstermacher. Giles went low in round 2 posting a 70 (-2), finishing with a total of 144. Also finishing with a 144 total, Fenstermacher had an impressive weekend firing rounds of 71-73. In the Boys 13-15 age division, Alex Heard of Boca Raton took home 1st place with a two-day total of 148. For the Girls division, we had various personal best scores throughout the weekend. With the top three all under par after round 1, they knew Sunday wasn’t going to be a walk in the park. Taking home the Girls 13-18 overall award was Kerttu Hiltunen. Hiltunen shot an impressive 71-69 to finish 5 under par (139). 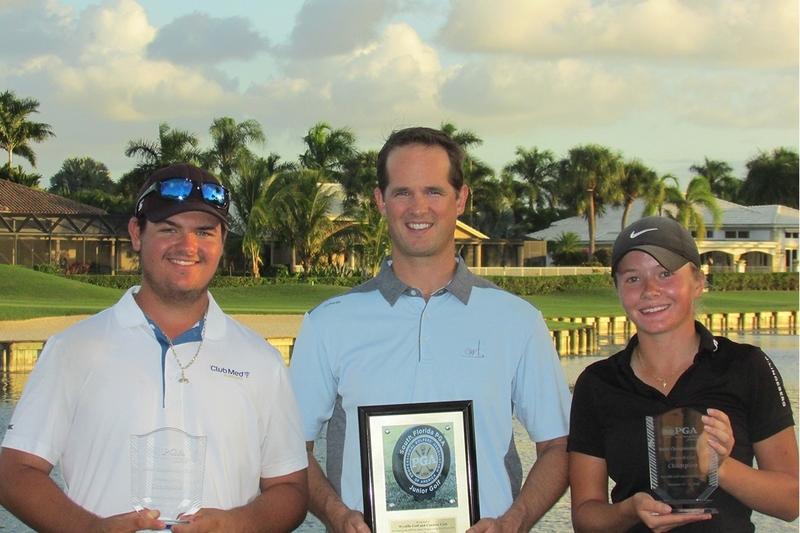 Closely behind throughout the weekend was Lauren Davenport of Delray Beach. Davenport shot a personal best of 68 on Saturday and followed it up with a 77. Winning the Girls 13-15 division was Skylee Shin of Doral, FL. Shin shot a two-day total of 148, with a 69 the first round. âClick HERE for complete results.